Dr. Bhanu is the Bourns Presidential Chair, Distinguished Professor of Electrical and Computer Engineering and Cooperative Professor of Computer Science and Engineering, Mechanical Engineering and Bioengineering, Director of the Center for Research in Intelligent Systems (CRIS), and the Visualization and Intelligent Systems Laboratory (VISLab) at the University of California, Riverside (UCR). In addition, Dr. Bhanu serves as the interim Chair of the Bioengineering Department at UCR. Dr. Bhanu also serves as the Director of NSF IGERT program on Video Bioinformatics. 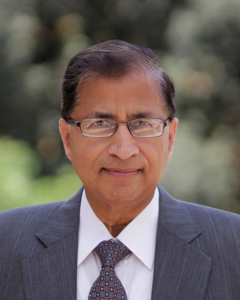 Dr. Bhanu was the first Founding Faculty of the Bourns College of Engineering and the Founding Chair of Electrical Engineering at UCR (1991-94). Prior to joining UCR, Dr. Bhanu was Senior Honeywell Fellow at Honeywell Inc. Dr. Bhanu has been on the faculty of the Department of Computer Science, University of Utah, and has worked with Ford Aerospace & Communications Corporation, INRIA-France and IBM San Jose Research Laboratory. Dr. Bhanu has been the principal investigator of various programs from NSF, DARPA, NASA, AFOSR, ONR, ARO and other agencies and industries in the areas of object/target recognition, learning and vision, image/video understanding, image/video databases with applications in security, defense, intelligence, biological and medical imaging, biometrics, autonomous navigation and industrial machine vision. Dr. Bhanu is the co-author of twelve books (seven authored and five edited): Deep Learning for Biometrics(Springer, 2017), Video Bioinformatics - From Live Imaging to Knowledge (Springer, 2015), Human Recognition at a Distance in Video (Springer, 2010), Human Ear Recognition by Computer (Springer, 2008), Synthesis of Pattern Recognition Systems (Springer, 2005 ), Computational Algorithms for Fingerprint Recognition (2003), Genetic Learning for Adaptive Image Segmentation (Kluwer, 1994) and Qualitative Motion Understanding (Kluwer, 1992), Multibiometrics for Human Identification (Edited, Cambridge University Press, 2011), Distributed Video Sensor Networks (Edited, Springer, 2011), Computer Vision Beyond the Visible Spectrum (Edited, Springer, 2004), and Computational Learning for Adaptive Computer Vision (forthcoming, Springer). Dr. Bhanu has published over 500 reviewed papers, including over 150 journal papers and 57 book chapters. Dr. Bhanu has 16 US and International patents (plus 5 pending). Dr. Bhanu has been the associate editor/guest editor of many journals including IEEE Transactions on Pattern Analysis and Machine Intelligence, IEEE Transactions on Image Processing, IEEE Transactions on Robotics & Automation, IEEE Transactions on Systems Man & Cybernetics-B, IEEE Transactions on Information Forensics and Security, IEEE Computer, IEEE Sensors Journal, Pattern Recognition, Pattern Analysis and Applications, Journal of Mathematical Imaging and Vision, Autonomous Robots, Computer Vision and Image Understanding, International Journal of Machine Vision and Applications, and others. Dr. Bhanu is Fellow of the Institute of Electrical and Electronics Engineers (IEEE, 1995), the American Association for the Advancement of Science (AAAS, 1997), the International Association of Pattern Recognition (IAPR, 2000), the International Society for Optics and Photonics (SPIE, 2003), and the American Institute for Medical and Biological Engineering (AIMBE, 2015). Dr. Bhanu is a member of ACM and AAAI. Dr. Bhanu was the Chair for the DARPA Image Understanding Workshop, IUW (Monterey, CA, 1994), Chair for the IEEE Conference on Computer Vision and Pattern Recognition, CVPR (San Francisco, CA, 1996), Chair for the IEEE International Conference on Advanced Video and Signal-based Surveillance, AVSS (Santa Fe, NM, 2008), ACM/IEEE Conference on Distributed /Smart Cameras, ICDSC (Palm Springs, CA, 2013), and the founding Chair for the IEEE Workshop on Applications of Computer Vision, WACV (Palm Springs, CA, 1992, 2000). Dr. Bhanu is the General Chair of IEEE Conference on Winter Applications of Computer Vision (Hawai'i, HI, 2015). Dr. Bhanu served on the IEEE Fellow Committee (2010-2012). Dr. Bhanu continues to be very active in multiple professional conferences and workshops in the areas of his interest. Several awards were received by Bhanu’s students on recent NSF grants. Some of these are: NSF Community Award (2013), NSF Judges Choice Award (2012), NSF IGERT Video/Poster Competition 2012, 2013; Honorable Mention NSF International Visualization Competition, results published in Science, 2014. IBM Best Student Paper Award, International Conference on Pattern Recognition (ICPR 2014); Best Conference Paper Award, IEEE Conference Advanced Video and Signal Based Surveillance (AVSS 2013); Best Paper Award, IEEE Conference on Healthcare Informatics, Imaging and Systems Biology (HISB 2012); First Place Award, FERA Challenge, IEEE International Conference on Face and Gesture Recognition, (FG 2011); Best Conference paper Award, International Conference on Distributed Smart Cameras (ICDSC 2008); Best paper Award nomination 18th ACM Genetic and Evolutionary Computation Conference, Real-World Applications Track, (GECCO, 2009); Recent research featured on the cover of IEEE Transactions on Image Processing (May 2016). Served as Associate or guest editor of several IEEE Transactions (including Pattern Analysis and Machine Intelligence; Image Processing; Systems, Man and Cybernetics; Information Forensics and Security; Robotics and Automation; Computer; Sensors Journal) and several other journals including Autonomous Robots, J. of Robotic Systems. Pattern Recognition, Machine Vision & Applications, J. Math. Imaging & Vision, Pattern Analysis & Apps., Computer Vision & Image Understanding, Image & Vision Computing. Dr. Bhanu has received many outstanding journal and conference paper awards with his students; several research excellence and outstanding contributions awards from the university and industries (Honeywell Inc., IBM), including an award from the CEO of Honeywell Inc. Dr. Bhanu received an award for the team efforts in a large research program sponsored by DARPA. Dr. Bhanu received the Research Excellence Award from the Bourns College of Engineering at UCR in 2003. Dr. Bhanu received the 2011 Doctoral Dissertation Advisor/Mentor Award from the University of California at Riverside. 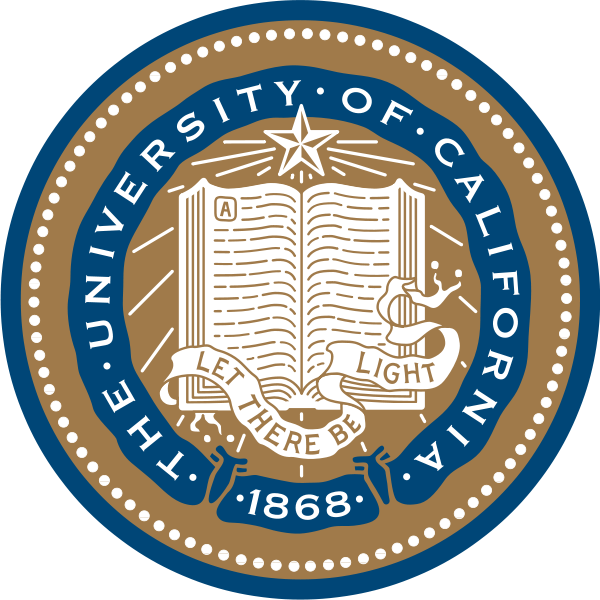 Dr. Bhanu received the Pioneer Award of the Bourns College of Engineering at UCR in May 2015. Dr. Bhanu has been a consultant to DARPA, a panelist for the review of AFRL programs and a panelist for the strategic planning of ARO programs. Dr. Bhanu has been an expert witness in the areas of his interest. Dr. Bhanu has given many invited talks at conferences, universities, industries and DoD meetings. Dr. Bhanu received the S.M. and E.E. degrees in Electrical Engineering and Computer Science from the Massachusetts Institute of Technology in 1977, the Ph.D. degree in Electrical Engineering from the Image Processing Institute, University of Southern California in 1981and the M.B.A. degree from the University of California, Irvine in 1984. He also received B.S. (with Honors) in Electronics Engineering from the Indian Institute of Technology, BHU, Varanasi, India in 1972 and M.E. (with distinction) in Electronics Engineering from Birla Institute of Technology and Science, Pilani, India in 1974. Dr. Bhanu supervises Ph.D. students in Electrical Engineering, Computer Science and Engineering, Mechanical Engineering and Bioengineering. Dr. Bhanu's current research interests are Computer Vision, Pattern Recognition and Data Mining, Machine Learning, Artificial Intelligence, Image Processing, Image and Video Database, Graphics and Visualization, Robotics, Human-Computer Interactions, Biological, Medical, Military and Intelligence applications. Dr. Bhanu received the S.M. and E.E. degrees in Electrical Engineering and Computer Science from the Massachusetts Institute of Technology in 1977, the Ph.D. degree in Electrical Engineering from the Image Processing Institute, University of Southern California in 1981 and the M.B.A. degree from the University of California, Irvine in 1984. He also received B.S. (with Honors) in Electronics Engineering from the Indian Institute of Technology, BHU, Varanasi, India in 1972 and M.E. (with distinction) in Electronics Engineering from Birla Institute of Technology and Science, Pilani, India in 1974. Dr. Bhanu supervises Ph.D. students in Electrical Engineering, Computer Science and Engineering, Mechanical Engineering and Bioengineering.